Emergent endotracheal intubation has risks of complications including hypoxia, pulmonary aspiration, and prolonged time to intubation. Previous studies from the anesthesiology literature suggests that bed-up head-elevated (BUHE) positioning is associated with improved glottic views and prolonged apnea time. 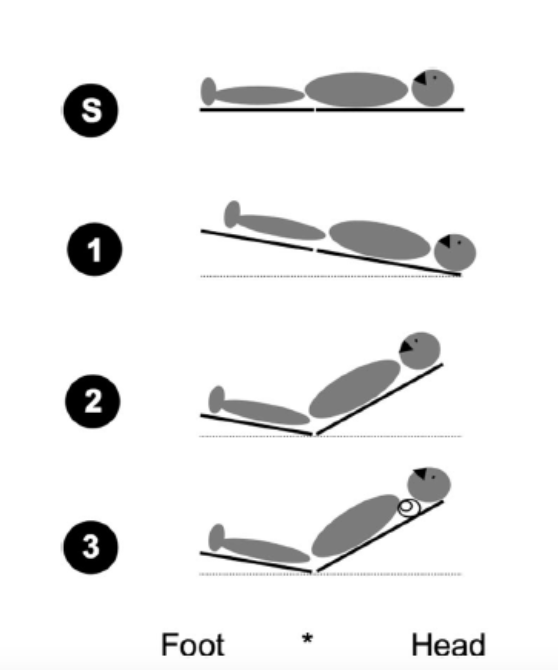 Using this positioning method could lead to decreased complication rates with emergent intubation. Is a head-elevated patient position associated with decreased complication rates in emergent tracheal intubation in the ward and intensive care unit? Multicenter, retrospective observational clinical trial. Participants and clinicians were unblinded. Patients < 18 years old, patients in cardiopulmonary arrest, intubations in the ER, OR, or PACU, intubations performed with video laryngoscopy or fiberoptic endoscopy. If patients were reintubated during their hospital stay only initial intubations were included. BUHE position associated with significantly lower odds of reaching primary endpoint. There is evidence that BUHE patient positioning may be associated with significantly decreased rates of intubation-related complications during emergent endotracheal intubation in the ward or intensive care unit. A randomized control trial would be needed to suggest clear causal association, but it seems reasonable to use this positioning when not medically contraindicated. BUHE position shows promise in reducing adverse events during emergent intubation. If these results are echoed in prospective studies including ED patients, this could lead to a paradigm shift in positioning for RSI. This retrospective, observational study demonstrated a lower odds of intubation-related complications in patients placed in the BUHE position for emergent intubation. Great stuff! You’ll pretty much never need to pad under the shoulders, except in peds. Padding is going to need to be placed under the occipit. Except in Swami he is perfectly flat in all dimensions. Glad you enjoyed the post. Hopefully, we achieved correct positioning and yes, I’m fairly flat.